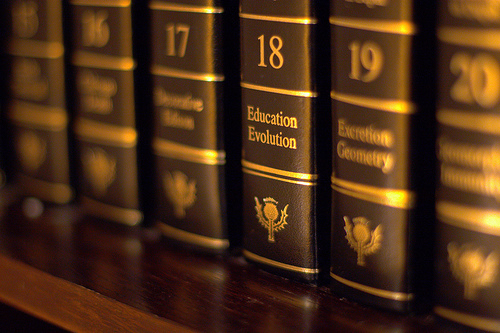 Nearly 250 years after the publication of its first edition, the publishers of the Encyclopedia Britannica have called time on the print edition of the venerable reference tome, and are going to concentrate purely on its faster, sleeker online twin. The publishers have made this decision in order to compete better against online reference resources such as Wikipedia, and after customers declared they preferred using the online version of their books. The Encyclopedia was first published in Edinburgh in 1771 as a three-volume set. It had since risen to 32 volumes by the 15th and now last edition last revised in 2010. The Library still owns a print copy of the 15th edition, among our many other resources in our Reference section. But for more up-to-date browsing, we have a wealth of encyclopedias, directories and handbooks among our electronic Reference Book collection on Library Catalogue Plus, including the multi-faceted Oxford Reference Online. So really, you don’t need Wikipedia at all… do you? Image copyright Shishberg, reproduced under CC License from Flickr. This entry was posted in Culture, Current Affairs, Databases, Electronic resources, Print resources, Resources by Steven Lake. Bookmark the permalink.